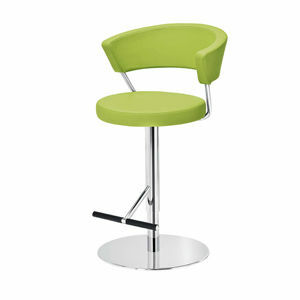 Height adjustable swivel stool with upholstered seat and back. Satin stainless steel base with polished chrome post. Round tubular steel with polished chrome finish back support. Upholstered with fabric or leather.